Natalie Morton has been a part of North Carolina’s dance community for over 20 years. She began her training at The Ballet School of Chapel Hill and graduated from Meredith College with a degree in Dance and Theater. After dancing in New York City she returned to North Carolina and began teaching, dancing and performing. She is currently performing with Black Box Dance. 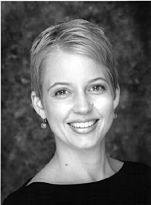 Ms. Morton has been a faculty member of The Ballet School of Chapel Hill for 14 years, teaching Pre-Ballet, Jazz, and Contemporary. She has also served on the faculties of Carolina Ballet’s and The Raleigh School of Ballet’s Summer Intensive programs.